Glass and Mirrors | King Glass, Inc. Cutting Glass in the shop. 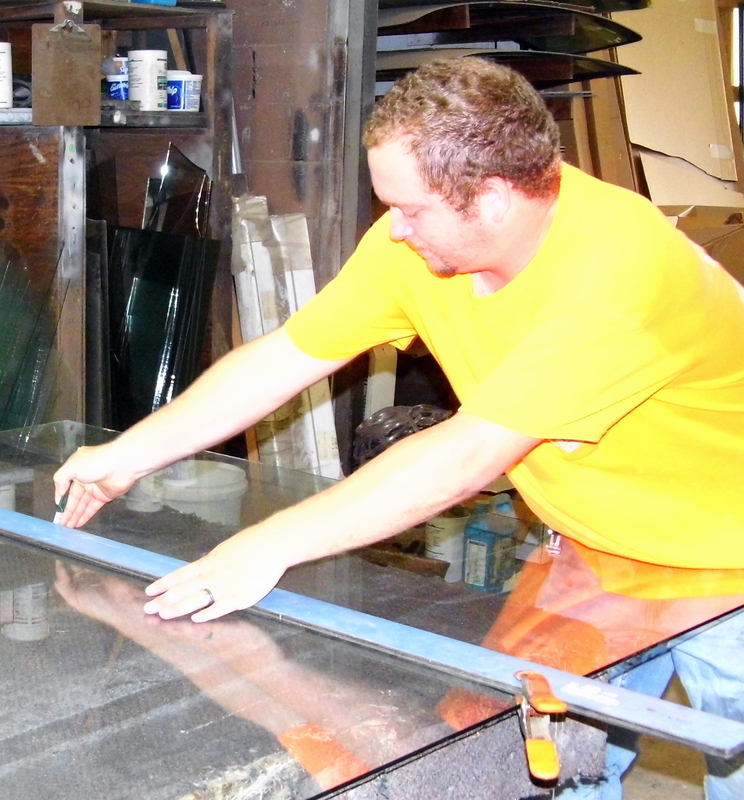 King Glass, Inc. of Monroeville, Alabama keeps a variety of glass, plexi-glass, mirror, and laminated glass in stock. If you need a quick cut, call ahead to make sure we have technicians in the shop. We can usually get small pieces and requests cut the same day. Let us help you with your glass needs whether it is for windows, furniture, or walls.